In recent times it is very much talked about the air pollutants and the harms caused by such pollutants in the Iranian urban areas. Like previous years in big cities like Tehran and Tabriz and other center of provinces the schools are closed and the citizens are warned continuously about the dangers and risks of air pollution. Reportedly the number of life losses increased considerably causing much more worriment among the citizens. But the most considerable is the case of the steadiness of the air pollution and its continuation for long time in Tehran that is said exceeded three weeks recently. 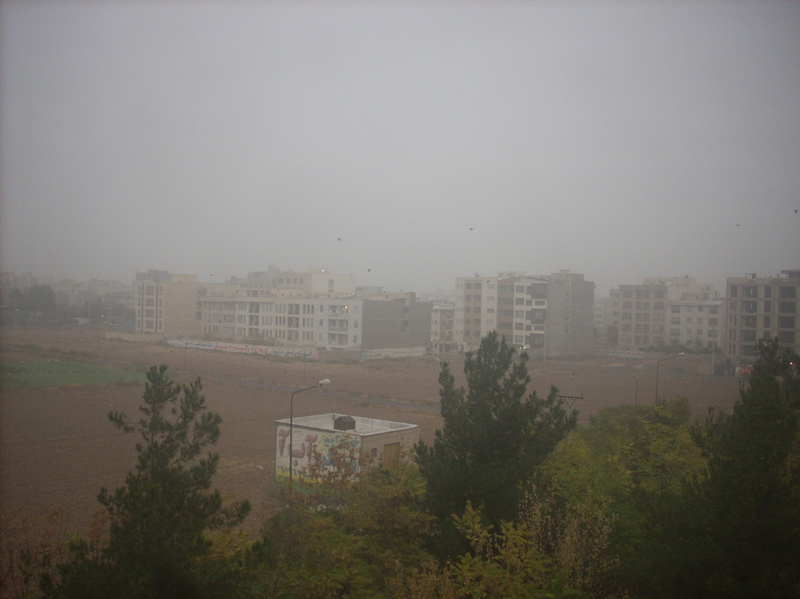 The reason for steady winter time air pollution in the Iranian urban areas particularly those with high and dense population could be very likely found in the way of life and appliance usage of the citizens. Any home may well have some fires burning in it. Especially if there is a gas water heater, furnace, oven, gas fireplace, gas heaters which all are type of combustion appliance, you’ve got fire. But what’s going on inside those appliances, and what are the needs of such fiery contraptions? Let’s take a look at the basics of combustion. When the fire is burning inside a home fireplace, furnace, water heater or so on, it’s combining air with natural gas. Air is about 80% nitrogen and 20% oxygen. Natural gas is mostly methane, which is one carbon bonded to 4 hydrogens. It’s the simplest form of a hydrocarbon in fact. The combustion appliances are ordinarily set up to mix enough air with the gas so that the combustion is always complete. Actually since the temperature and pressure of the air in home changes, therefore affecting how much oxygen gets delivered, the combustion appliance is set up to deliver excess air. However, if things go bad and incomplete combustion occurs, we get carbon dioxide’s evil cousin that is carbon monoxide, CO. It is actually unwanted and luckily with natural gas, the combustion is usually complete when everything is working properly, and there will be little to no carbon monoxide in the exhaust gases. But when things don’t work perfectly, a little bit of carbon monoxide in the exhaust gases isn’t a problem as long as the heat exchanger and flue are intact and get all the exhaust out of the house . So, it is seen that normally the combustion appliances take air and fuel and turn a molecule of methane gas and 2 molecules of oxygen into heat and exhaust gases that are 2 molecules of water and a molecule of carbon dioxide. Since more than a decade ago the usage of gas home appliances developed in Iranian urban areas enormously and widely. In almost all of the newly constructed houses and apartments and also old-fashioned buildings there is now modern fireplaces, water and air heaters which all works with natural gas that is supplied easily to all homes through the urban gas reticulation. By arrival of cold seasons the consumption of natural gas for heating the homes mainly and also other usages rises rapidly particularly in night time. It leads to the accumulation of a large amount of water vapor and carbon dioxide in homes that is evacuated from homes and scattered all around the residential places and the urban environment. Because of the temperature inversion the immensely produced water vapor and carbon dioxide is trapped around the residential areas and cover everywhere. By arrival of the morning and start of the urban activities the air pollutants produced by the vehicles and moving and fixed combustion systems enter the urban environment and dispersed everywhere. But presence of the molecules of carbon dioxide and water vapor that is twice in number with respect to carbon dioxide molecules catch up and absorb as well as adsorb the suspending air pollutants and trapping the suspended air pollutants limit their motion and cause them to be kept in and above the residential and urban places. That is why the air pollutants remain steadily for a long time in the urban areas by when an effective temperature rise or change remove the condition of inversion. Noteworthy is that such a condition emerges in almost all the densely populated areas all around Iran when the cold season starts and continues. There are frequent and numerous records and reports in this connection from different cities like Tabriz, Isfahan, Shiraz, Mashad and very many other urban locations. It shows that how effectively acts and plays a great role the water vapor produced by the gas combustion appliances in homes. So in addition to the plans for reducing the amount of the air pollutants in Iran the authorities should take part and either set and implement plans for reducing the trend of the water vapor production in the winter and cold season times which main source is apparently the nightly work of the gas combustion home appliances like gas fireplaces and heaters in the urban and densely residential locations. The model is illustrated as below. A 4–day training course on “RADAR Remote Sensing (Synthetic Aperture Radar, SAR) and Image Processing” was organized by the Institute of Space Technology (IST) in collaboration with Pakistan Space and Upper Atmosphere Research Commission (SUPARCO) from 21st to 24th December 2015 at the National Center for Remote Sensing and Geo-Informatics (NCRG) in Karachi, Pakistan. had dinner in the Kababjees restaurant next to Indian Ocean. The view and weather was too nice. After having a delicious dinner there and watching the sea we backed the residence. In the third day of the course I gave four lectures in the morning and afternoon sessions. Topics were about feature extraction, classification, polarimetry and data fusion. I get tired. I give four presentations. In the last day of the course I gave three presentations in morning. The topics was about SAR Interferometry and related techniques. After the end of my presentations there was an award ceremony. I receive some gifts. Mr. Muhammad Nasim Shah and Dr. Badar Ghauri, the head of IST, presented the awards. I later join international participants for lunch while Mr. Nasim Shah and Dr. Ghauri were present. In the afternoon I prepared myself to leave Karachi to home at night. I left Karachi to Abu Dhabi at about 10 o’clock at night. I reached home the next day on Friday early in the morning. A group photo with the organizers and participants of the course in the Indian Ocean Shore; I am standing in far left. Click here for more details about the international course on Radar Remote Sensing and Image Processing in Pakistan and also access to the files of power point presentations. 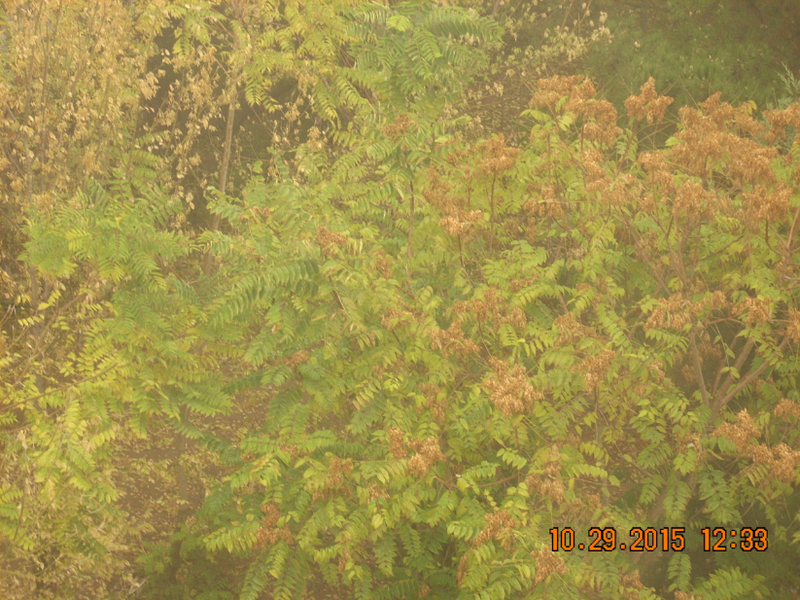 October 29 is the day that the view of the environment actually changes. It is now autumn with its beauties and magnificence. The photos show the environment around home. After 28 years I had the luck to meet an old friend on September 12. He is Jamshid Moradi. We both performed our military service in the era of war-time between Iraq and Iran. 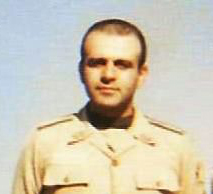 For around a year we performed our compulsory military service in the north of Tehran and south of Tehran in Kahrizak. Meeting Jamshid was nice and we had time to talk about the military service time and its dramatic memories. 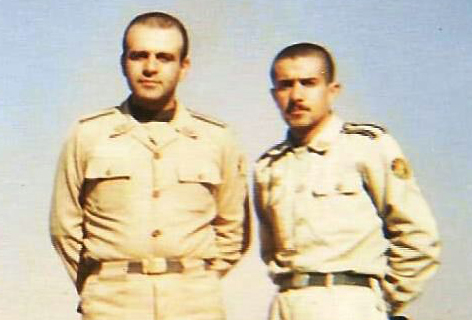 This is a photo of we both taken when a few days later Jamshid dispatched to the war front to do the remaining of his military service. In the photo below Jamshid is seen in right side. From 26 to 29 July we travel to the Caspian Sea shore and stay in Hotel GilMaz near Chaboksar. We go there via Chalus Road. We take the rooms 307 and 308. We are the only family residing there from the space agency. Walking at the sea side in mornings and late in the evenings and early at night is pleasant. On the second day of our travel we drive to the tele-cabin of Ramsar. It is a warm day. All the family takes the tele-cabin to go to top of the green hills with the height of 700m. It takes around 15 minutes to reach the top. It is nice. Returning home we drive to Lahijan. 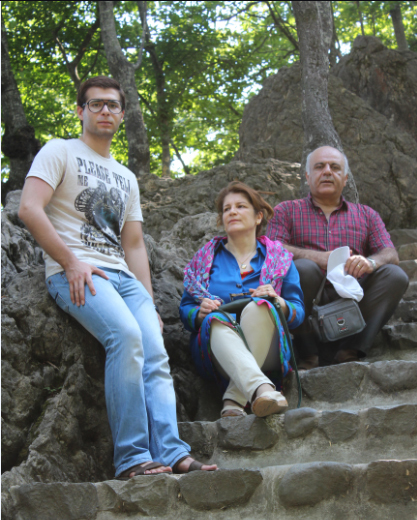 After a shopping in Lahijan we head to Rasht where we stay there for several hours. In Roudbar we also make more shopping. We are witnessing the first snowfall this winter here at home. It is the 50th day of winter and there will be a water scarcity in coming months particularly in summer. The climate moves to more dryness in this area. By the approval of the Administrative Supreme Council the Iranian Space Agency backs to the Ministry of Communications and Information Technology. On September 27, 2010 the space agency annexed to the presidential office of the state to be managed under direct supervision of the head of the presidential office. The agency was established in February 2004 as an autonomous entity in the Ministry of Communications and Information Technology to work under supervision of the Space Supreme Council presided by the President of the State. Being the deputy of the Minister of Communications and Information Technology the president of the agency was in the meantime the secretary of the Space Supreme Council. Annexation of the space agency to presidential office was considered illegal while no effort was taken to legalize its activity in its new position. It led to an unprecedented turmoil in the agency and its administration as well as its plans and programs, causing lot of losses and problems to its experts and personnel. It is hoped that this new action will lead to a favorable result in terms of the administration of space agency, its plans and programs and the situation of its employees. On Wednesday January 14 I received the sad news on demise of one of the great teacher I have ever seen. Mr. Abdol-Jabbar Tebyani an able teacher of mathematics passed away at the age of 76 following a long-lasting disease. 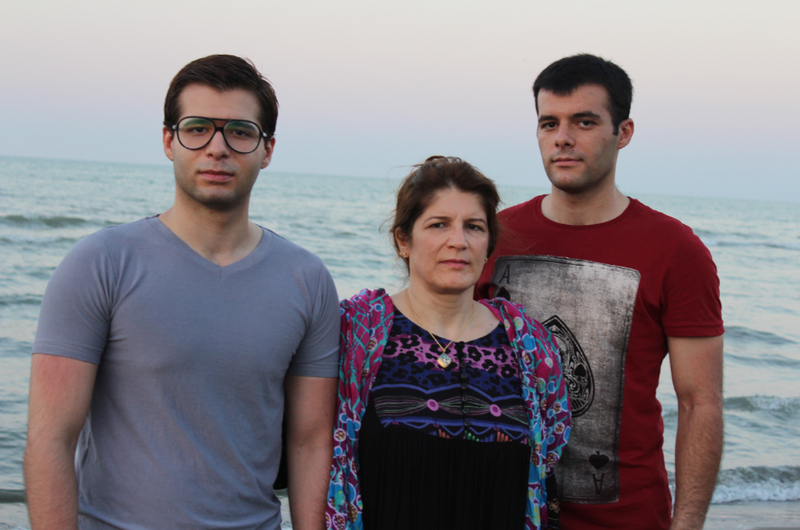 He was hospitalized in a hospital in Tehran for a while. His funeral took place in Maragheh the birth place of both he and mine as well. The next day on Thursday I and my wife attended the obituary ceremonies for demise of him in Maragheh. Mr. Abdol-Jabbar Tebyani (1938-2015) was my teacher of mathematics in the course of my high school studies about 40 years ago. I learned much in mathematics from him and more significantly the way of logic thinking. Long ago I was contemplating to realize two books. It was when I was working hard on the book ‘The Iranian Space Endeavor- Ambitions and Reality.’ After finishing it that was published by Springer/Praxis early in the second half of 2014 and will be there for eternity according a friend, I had time to think over about creating the new books which idea was in my mind for a while. It is now about half a year that I am working hard on those two books. I thought to conduct the work on the books simultaneously since I believe that it makes me to do the job with more motivation, energy and enthusiasm. One of the two books that I am working on is on my experience on Radar techniques focusing on the marine applications of the Synthetic Aperture Radar Interferometry and polarimetry that is a unique experience and I have been developing it since years ago. It is supported by the international entities both for cooperation and publication. The other book is an analytic essay with deep insight on the developments in my life. Especial focus is made on my involvements with space technology inland and out; what I have experienced personally in the course of about 20 years of work in that domain nationally and internationally. Both of the books are written in English and it is hoped that they will attract considerable readership. Since its creation in 2003 my blog have been visited by a large number of the visitors around the globe. Although the exact number of the visitors is not available it exceeds 40,000. The map below shows the distribution of the visitors in terms of their countries between January 30, 2003 and December 22, 2014. The highest number of visitors is from USA, while India, United Kingdom, Germany, Canada, France, Italy, Malaysia, Japan, Australia, Russian Federation, Turkey, The Netherlands, Switzerland and Pakistan are the next respectively. The number of the US visitors exceeds two-fold of the number of visitors from the second country in the list, India. In addition to the front page of the blog with around 4,200 views the ‘education’, ‘ISNET/CRTEAN Training Course on SAR Imagery: Processing, Interpretation and Applications’, ‘InSAR DEM; why it is better?’, ‘gallery’, ‘InSAR New Generation’, ‘Maragheh: Heaven’s Gate’, ‘INSAR DEMS; ACHIEVEMENTS AND BENEFITS’, ‘COPUOS-BUREAU’, ‘Radar DEM generation; achievements and benefits’, ‘Iran’s space program; Riding high for peace and pride’ and ‘New developments for GEOSS’ are the most viewed pages in my blog. It indicates that most of the visitors are interested in the scientific aspects in my blog and international topics are the next preference of the visitors. Wishing a prosperous and blessing New Year for you, your dearest and nearest ones!